What do the L.A. Rams, Walt Disney and Silverado Vineyards have in common? This is what I discovered in a 2 hour sit down lunch and wine tasting with Russ Weis, GM of Silverado Vineyards. Ron Miller played college football for USC in the early 1950’s, was drafted in 1961 by the L.A. Rams and played the 1962 season for the Rams. The story as told by Russ is that back in about 1953 a group of Ron’s friends were going out and they needed an extra guy for one of the girls who didn’t have a date. Ron met Diane and the two fell in love and were married in 1954. Turns out that Diane was Walt Disney’s daughter! After football Ron returned to work for Disney (he had worked there in the 50’s) . Eventually Ron became the President and C.E.O of Disney between 1978 and 1984. In 1981 Ron and Diane established Silverado Vineyards ( click HERE for a complete timeline of the vineyard ) . Currently the vineyard produces about 60,000 cases of wine a year. I had a sit down tasting with Russ Weis at Hearth ’61 in Paradise Valley, to taste some of the current offerings from the winery. We started with the 2016 Chardonnay from Carneros District, Napa. If you do not like oaky buttery Chardonnay you will love this wine. This wine is big, bold and crisp, we paired it with jumbo shrimp and it was fantastic. The next two wines we tasted were 2014 GEO and SOLO. Both of these wines were superb. Solo was the bigger bolder and more complex of the two, but Geo was more approachable right out of the bottle. We paired both these wines with Niman Ranch flat iron steak, medium rare of course. Solo will set you back $125, while Geo runs $75, if you have the budget I would suggest both, its interesting to compare the different styles side by side. So, I’ve seen the Apothic label in various wine departments over the years, but never purchased the wine. The label is unmistakeable, a great bit of branding. But having spent my early 20’s drinking Australian wines with groovy animal labels, I was shy to repeat the mistake. Then a review sample from Apothic arrived at my doorstep. I didn’t immediately open it. Instead I let it sit on the counter for a week, brooding. Finally, I popped the cork. To review I chilled the wine to 55F. Then I decanted and allowed the wine to warm up to 75F over the course of 3 hours, while sampling along the way. The first thing I noticed is the aroma. As I passed by my decanter and glass of wine, the powerful aroma of high alcohol wine hit my nostrils, stopped me in my tracks. The wine is an alcoholic monster at 15.9% no doubt. The searing heat of the alcohol is predominant, along with the telltale sweetness. The fruit is ripe and the not terribly complex. I know what you’re thinking “wow this wine sounds terrible”. It’s not. You just have to put it in the context it will thrive in. And here’s that context. You need a big bold fruit forward wine that people who generally say they like wine will enjoy at a party. You also don’t want to spend more than $20 a bottle. Inferno retails for about $12-$15 a bottle. For wine snobs, this would not be such an enjoyable wine, but then again, wine snobs might not be enjoyable guests…haha right?? Wine is meant to be enjoyed, with friends, with food. The overall picture is what matters. This is a good general purpose wine, that doesn’t break the bank. Recently I had the pleasure of being invited to a wine dinner at A Different Pointe of View restaurant in Phoenix, Arizona. I’d never been inside the restaurant but have often driven up to the top of the hill it sits on to watch monsoon storms roll across the valley. The first thing you should note about the restaurant is that you should probably be pretty good at driving a stick shift if you want to make it to the top. The grade feels like 30%! I have a diesel truck, so no problem there. Once you make your way up to the entrance, you’ll notice there’s still a ways to go, luckily there is an elevator. Once at the top I walked out onto the south facing patio and was greeted by an amazing view of the Phoenix skyline! Amazing is also an understatement. Spectacular is more like it. The next time I know of a storm brewing, I’m definitely heading up the hill with my camera gear. But wait…. you can’t just go up there to shoot monsoon pics! You have to relax and enjoy some wine! Enjoy life a little, bring a friend, a special friend. And maybe leave all the professional camera gear at home, you wouldn’t want to geek out on that and miss the incredible and romantic setting would you?? So after the sunset and a couple of glasses of wine, and great company, you’ll most likely be getting pretty hungry. Well now you’re in for a real treat. The Different Pointe of View restaurant is a critically acclaimed and multiple award winning restaurant. It’s fine dining at it’s best. The wine maker dinners are intimate. Limited to 12 guests who sit in a U shape around the chef as he prepares a 5 course meal. The night I visited we started with Lobster Bisque, featuring lobster flown in from Maine that day! Then there was scallops, and lamb. Not in the same dish, and yea, they were cooked to perfection. The scallops with lots of butter. The lamb not too gamey. For dessert they served a strawberry cream cheese ice cream on cake. Which is a perfect of many of the things I like, cream cheese, ice cream and strawberries! WHO IS GARY VAYNERCHUK ANYWAYS?? Back in April of 2008 I responded to a craigslist ad for wine sales people. The economy was in full meltdown, I was financially screwed and needed a 2nd job to try to save my house. I ended up selling wine inside Costco’s for Cameron Hughes for 19 months straight. During that period I took 6 days off of work, literally 6 days! The sales experience was awesome, Cameron is a great guy to work for and the people I met who work for Costco and their customers were great! In an effort to better educate myself on the wines I was selling I started searching the internet. I couldn’t afford to taste dozens of wines a week, but I could read reviews and reference them. That’s when I came across Gary VAY-NER-CHUK! I literally laughed out loud, up late at night trying to be all serious about wine and this guy just destroyed it! I wasn’t around during the early early days of Wine Library TV so I didn’t get to see the transformation from the quiet guy in the first video to the guy that everyone knows from WLTV. One of my all time favorite episodes is “How to train your palate”. Being exposed to Gary completely changed the way I sold wine. I went on to sell over 1,000 cases of wine, working only Saturday’s and Sunday’s and without giving out any samples. Then Gary went on tour with Crush it! I saw him speak at the Mesa Hilton, in Mesa, Arizona. It was AWESOME! It was October 2009 (I think) and he was already crushing it in terms of the live stage show the performance and the substance. I decided to follow his advice and start blogging about something I was interested in…wine! A few months later I received an email from Gary asking if I would be interested in writing content for his wine website/community cork’d. I thought it was my friends pranking me so I didn’t respond. But he emailed again, and boy am I lucky that I responded that time! I spent 2010 producing 1-3 articles a week. I was paired up with Jon Troutman and he worked tirelessly to help make me a better writer. He would suggest edits and taught me a lot of techniques for writing more engaging content. Which, if you’re reading this I’ve probably forgotten half of! In addition to the coaching and learning experience I got access to the greater wine community that I never would have without being able to name drop that I wrote for Gary Vaynerchuk. In the summer of 2010 Gary travelled back to Arizona for the Judgment of Arizona, a wine tasting that pitted Arizona wines against wines of the world. After the contest was over, I was kind of just minding my own business while everyone gathered around Gary to ask him questions. I didn’t really have anything to ask, didn’t want to be a bother so I just watched. After a while he got up approached me and asked if I wanted to go to dinner! That dinner, looking back was HUGE! We were joined by some other people, there were 5 of us total. Just think of that! What do you think a 2 hour dinner session with Gary would be worth these days? Two things that Gary said really stood out for me. First, he said something to the effect of “I know we’re all getting along great here, but I want you guys to keep this going. You don’t need me here to do this, keep in touch with each other.” I’m still in fairly regular contact with a couple of the guys. The second thing that he remarked on was something to the effect of “I feel like something great is about to start. Like I just feel it, I feel it in my guts. Like I’m on the cusp of something huge.” He couldn’t have had better intuition. This was probably right around the time that was very first putting in place the pieces to start Vayner Media. In case you don’t know, Vayner Media is now a 600 person digital shop with $100,000,000 annual sales. March 8th, Gary is set to release his newest book: The Ask Gary Vee Book. This book is based on the Ask Gary Vee Show. This show is available on podcast, and youtube and focuses on entrepreneurship and leadership among other things. It’s a really amazing show. You should seriously be watching it. Here’s what I like about it. You get to see a super intuitive guy think on his feet. I don’t know of a better ad lib, think fast, think on your feet person in the world. The reason I’m writing this post is to, in my small way, the only way I can, repay Gary for the opportunity that was given to me. Gary is a guy who gives gives and gives without asking. He didn’t ask me to write this, I’m just doing it. It’s the right thing to do. Here’s what I’m going to do: I am going to goto Amazon and buy 8 books (to start) Why? Because if you buy 8 books and email the receipt to super8@vaynermedia you will be put in for a drawing and the winner gets a 1 hour solo session with Gary! Normally you would need to buy 1,000 books or shell out serious $cash$ money for that! But I’m not doing it for the chance to win something, I’d be doing it anyways. I am doing it because I am going to be giving away this new book to my clients. I think the knowledge, the actionable information is super awesome. Even more than that, I think the value that I got from one on one tutoring from Jon Troutman for a year and all the exposure is worth a lot. I can’t pay $ for it, but I can write, I can promote, I can evangelize the gospel of Gary Vee. You know the old adage “You can’t judge a book by its cover.”? While it’s really difficult not to do so, the same thing can be said of wine. Left Coast Cellars whimsical and quirky label would lead you to believe that this is an ordinary $12 bottle of wine. But the wine is not ordinary, and it’s also not $12. I recently had a chance to talk wine (and a lot of other topics) with Left Coast Cellars winemaker, Luke McCollom. We went to dinner at a fabulous french cuisine restaurant in Phoenix called Coup des Tartes. The main reason for choosing the restaurant was they allow you to bring your own wine (for a fee). We sat in a back room next to the fire place and tasted through a series of wines paired with exceptional food. We dined, sipped and talked for two and half hours and I really got a great sense of who Luke is and what Left Coast Cellars is. Luke is a very young looking fellow. He’s 37 years old, but he has some serious wine experience. His experience in the wine business started in his early teens and led to attaining a Bachelor of Science in fruit science and a minor in wine and viticulture from California Polytechnic State University in San Luis Obispo. Luke’s wine experience includes some ridiculously valuable time at Napa Valley’s Harlan Estate. If you don’t know Harlan, seriously you should. Luke joined Left Coast Cellars back in 2003 and has really created something special there. Luke’s passion is wine. From our conversation, it’s obvious. But not just wine. Vineyard management as well. These days most wine making operations have specialized people working for them. They have wine makers, they have vineyard managers. There are not a lot of people that can do both and do both well. Tasting the wines, I would say Luke is the exception to that rule. Even though he comes across as an easy going mellow guy, he takes the wine business extremely seriously. He is on a mission. A mission for excellence. I’d say with the wines we tasted, he’s there already. In this article I’m going to focus on two of his white wines. The first is the Left Coast Cellars 2014 Truffle Hill Chardonnay. This wine is 100% Chardonnay aged for 9 months in 66% French oak (25% new) and 33% in stainless steel. This wine right out of the gate comes across crisp and laser focused. Very well structured, and not at all flabby (not that I thought it would be). This is not a buttery or vanilla flavored Chardonnay, so if you like that style of wine this is not the wine for you. If you like a more old world style with crisp clean acidity, and purity of fruit, not over oaked and not too high alcohol this is the wine for you. Alcohol weighs in at 13.8% on this wine. The Truffle hill block has only 5 acres planted to Chardonnay, so this is a very small production wine, order it before it runs out and it will run out soon. This is a serious, fantastic wine and a great deal at $24. Look for the unusual label, don’t be fooled by it. While these are seriously well made wines, they’re not snobby. Luke is a down to earth honest guy who really is a master of his craft. He’s committed to sustainable practices and building a legacy of great wine. I would be surprised if I didn’t see some major accolades from major publications in the next several months. Whoa!! I did not know that! What started out as an austere wine not ready for immediate consumption turned into a nice “drink now” or in a year or two wine. But is it really natural? Is this cheating or dishonest? Even without barrel manipulation, there’s a lot that can be done in the vineyard and in the actual wine making process that would raise the eyebrows of a wine naturalist/purist, but if you think about it, isn’t all wine just a manipulation of the grape? There’s a very funny bit at the end of “Blood into Wine” where the wine snob is smoking a cigarette and pontificating on the purity of the wine and he says that the most pure wine you’ll ever taste is the grape juice directly out of the wine. Although clearly a parody, a parallel can be drawn to the current debate. I came across the raging debate on a Wine & Spirits group on Linkedin of all places. With over 67,000 members, this group has many of the worlds experts in wine, as well as bloggers, consumers, retailers, distributors. Everyone. In France, according to one commenter, it is forbidden to add water to wine, and in a lot of areas it is also forbidden to irrigate. While in California it is not illegal to add water to wine, or irrigate (barring any current water restrictions). 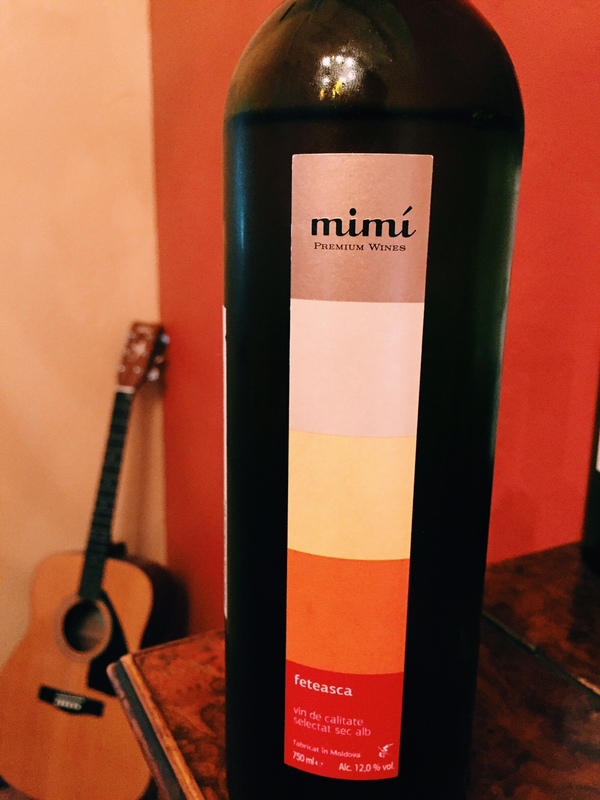 What is Feteasca Alba and how did I come across this wine? Well the kind folks at Colangelo PR reached out to me a while back to see if I would be interested in trying out some wines from Moldova. I was interested and a few days later a box of wine (a box with bottles in it) arrived. One of the wines was by a producer named Mimi. The label was difficult to understand, not being in english but I did gather that Feteasca Alba must be the variety of grape used. Over 276,000 acres of grape vines grow on 7% of Moldova’s arable land. According to Wines of Moldova the first vines planted in Moldova can be traced as far back as 7,000 years with the first records of wine making dating back 3,000 years. The area is mentioned with reference to wine in Homer’s Iliad (800 B.C.) Talk about old world wine! Feteasca Alba? What is it? It’s a grape indigenous to Romania, Hungry, Transylvania and Moldova. It’s also very difficult to find any information on. So what does it taste like? On the nose, pleasantly aromatic, predominantly apricot. At first the palate was dry and austere, but after the wine warmed up the fruit really began to show itself. This wine would really benefit from at least an hour of decanting and to be served close to the temperature you would serve red wine. There are layers of grapefruit and pear intermingled with subtle minerality. The wine is light (12% alcohol) which also lends itself to warmer serving temperature. Even at a serving temperature of above 70F I didn’t detect any alcoholic heat. This wine was a pleasant surprise. If you’re looking to try something completely different I recommend trying this wine. And remember, don’t serve it too cold! Follow the hashtag #CharlesKrugLive on Twitter at 8pm EST on Wednesday May 28th. 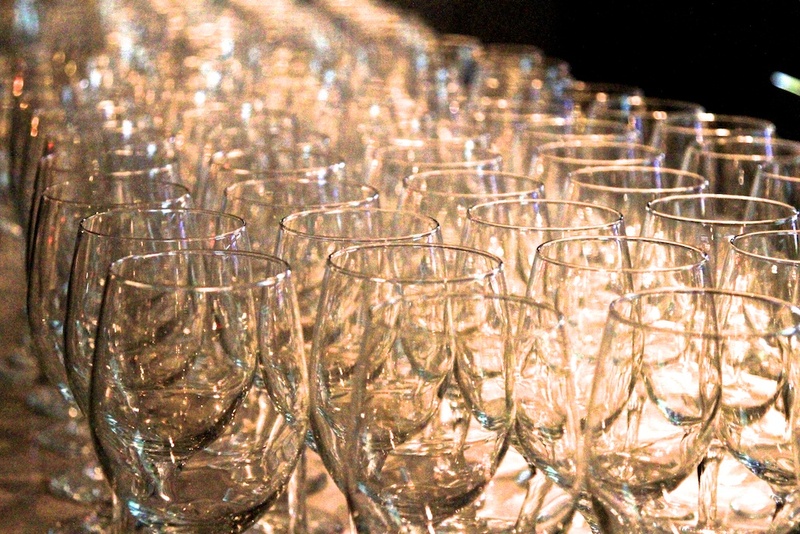 The virtual tasting will be hosted by Peter Mondavi Jr. This year also marks Peter Mondavi seniors 100th birthday. During the virtual tasting fans who have picked up their own bottles of the current Charles Krug vintages will be guided through a tasting and discussion. The Charles Krug Winery is also releasing a very limited production 150th anniversary Cabernet Sauvignon in magnum format from their 2008 vintage. I enjoy the finer things in life just as much as the next guy, but lately I’ve been on a real bargain kick. I’m really enjoying finding the greatest values, finding the most interesting wines for the cheapest price. So far this year I’ve found quite a few.So what’s changed that’s helped me to find more of these incredible values? I’ve made a simple change in the way I purchase wine: I am not buying wines from the same old familiar producers and locations. I am deliberately going outside of my comfort zone and it’s turned out to be very rewarding. 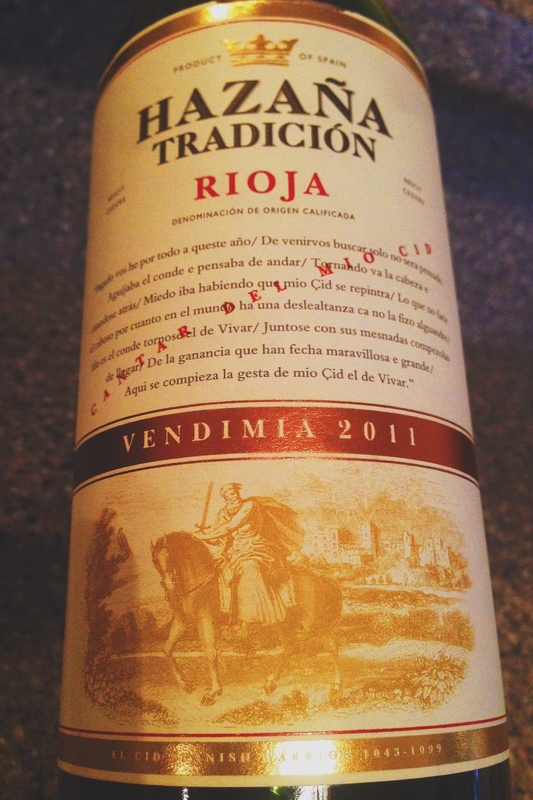 I’m becoming a big fan of Tempranillo and especially the region of Rioja. There are a ton of great values coming out of this area right now. The Rioja region is actually quite impressive. According to the all-knowing wikipedia the region has 14,000 vineyards covering 123,000 acres and over 150 wineries. The region has a history of wine making dating back to the year 873. Ripe, fruit forward, a little jammy. Nice complexity on the back end, featuring a graphite minerality and cigar paper finish. Way more than I expected for a $10 wine. Drink now.